The borders of the Middle East were drawn during World War I by a Briton, Mark Sykes, and a Frenchman, Francois Picot. In this piece, we revisit the circumstances that led to the signing of this critical agreement and the events that unfolded afterwards. The Ottoman Empire (1516-1924), in the last few decades before its collapse, lost control over many of its territories to the growing powers of colonial countries. France took control of Algeria (1830) and Tunisia (1881), Italy took over Libya (1911), while Britain gained control of Aden protectorate (1939), Oman (1861), Arabian Gulf chiefdoms (1820) and Kuwait (1899). On the other hand, Muhammad Ali, a powerful Ottoman leader, unilaterally ruled Egypt, and his sons succeeded him, until the country fell into British custody in 1882. Sudan fell under British control in 1899. Meanwhile, according to Iraqi historian Sayyar al Jamil, the Ottomans’ strongholds in the Levant and Iraq, during the empire’s latter years, included the provinces of Damascus, Aleppo, Raqqa, Basra and Baghdad. As World War I erupted in July 1914, the weakening Ottoman Empire allied with Germany and the Austro-Hungarian Empire to confront Britain and France. It was then that the political regimes and the region’s maps began to transform. Sykes was an English political adviser, diplomat, politician, military man and traveller. He represented his country in secret talks with France and Russia to partition the territories of the Ottoman Empire in the Arab Orient and Anatolia. Sykes signed what became known as the Sykes-Picot agreement. Some sources said that the diplomat had also played a significant role in the drafting of the “Balfour Declaration”. Sykes, who was born into a wealthy family, published a number of books while still in his twenties. His work included two books on military science and three on the Ottoman Empire and Islamic countries that tackled the region’s political geography and contained Sykes’ own observations during his travels in the Levant and Anatolia. In 1915, upon Sykes’ recommendation, the Arab Bureau was established. The entity served as a British intelligence bureau in Egypt and was tasked with controlling the political activities in the Near East. It is believed to have revived the old names of Ottoman-administered regions, such as “Palestine”, “Syria” and “Iraq”. Sykes died of the Spanish flu pandemic in 1919 in Paris where he was attending a peace conference. It was only three years after the signing of the deal he pioneered. He never got to see how the maps he drew materialised on the ground and changed the face of the Middle East for years to come. Picot was a French diplomat and the son of historian Georges Picot. He negotiated the secret Sykes-Picot agreement with Sykes. Picot had worked at the Court of Appeal in Paris for two years before joining the diplomatic circuit in 1896. Picot served as secretary to the Ambassador in Copenhagen before being appointed as Consul-General in Beirut shortly before World War I. In Beirut, Picot established strong relationships with the Maronite Christian leaders, then moved to Cairo before heading back to Paris in the spring of 1915. As a member of the French Colonial Party, he defended Arab orientalists who supported the French mandate in their own countries. 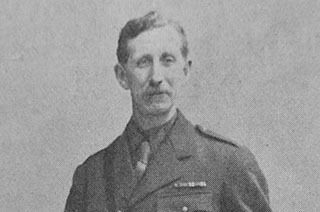 Between 1917 and 1919, Picot held the position of a high commissioner in Palestine and Syria, and, in that capacity, recommended the deployment of 20,000 French soldiers, paving the way for the arrival of General Henri Gouraud to command the French army in the Levant. Picot was later appointed as minister plenipotentiary in Bulgaria and Argentina. 1. The Sykes-Picot Agreement was a private wartime treaty between Britain and France which was to determine the post-war partition of Arab Middle East lands. 2. It was named after its chief negotiators, Mark Sykes of Britain and Georges Picot of France. 3. 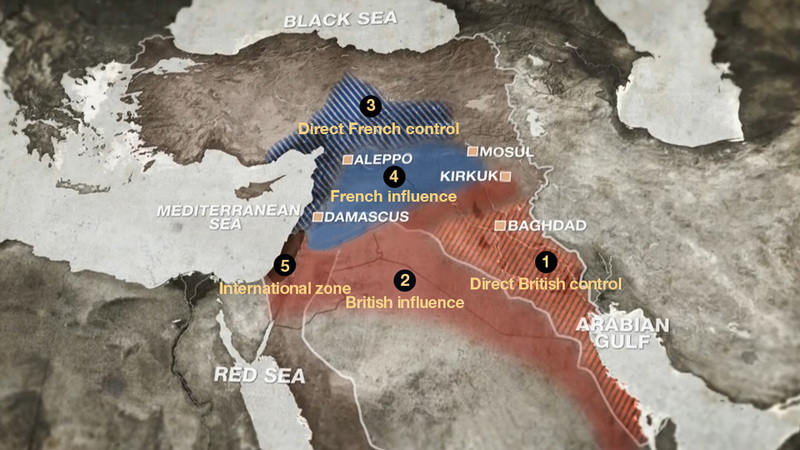 The Sykes-Picot agreement split up the Arab provinces of the Ottoman Empire after World War I. 4. The region of Mesopotamia (now Iraq) was allocated as part of a future British sphere. 5. It provided a limited degree of independent Arab control over parts of Syria, Arabia and Transjordan. During World War I, the foreign ministries of France, Russia, Britain and Italy assigned a group of selected diplomats to hold talks that would determine each country’s share of the inheritance of the Ottoman Empire, which at that stage was dubbed “The Sick Man”. 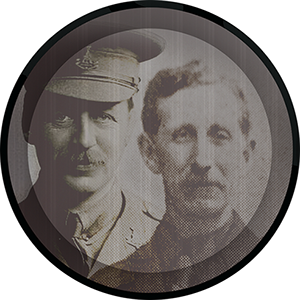 Between November 1915 and May 1916, secret negotiations and memos of understanding were exchanged among the foreign ministries of those countries, mainly represented by Britain’s Sykes and France’s Picot. Britain was the most powerful party among those countries. It was, at the same time, in contact with the Emir and Sharif of Mecca Hussein bin Ali, who had been plotting for a revolution that aimed at establishing an Arab kingdom in the region. On May 16, 1916, a deal was secretly signed between Sykes and Picot, and approved Russian Foreign Minister Sergey Sazonov. The first entity extended from Baghdad to the south to include Kuwait, reaching to the Gulf coast. This entity was under direct control of the British. The second entity combined what is today northern Iraq, Jordan and the Negev desert, reaching all the way to Sinai. This part was under British influence. The third entity included a coastal area that extended from southern Lebanon to the north towards the provinces of Mersin, Iskenderun and Adana. It extended anteriorly to the inside of Anatolia. This part was under direct French control. The fourth entity comprised the Syrian Desert. This part was under French influence. The fifth entity included the Ottoman Jerusalem sanjak, which was the northern part of historic Palestine. This part was an international zone due to its religious significance. Britain was, however, allocated control of Acre and Haifa. With regards to Russia, the agreement stated that Russia’s tsar would keep his stake in Istanbul, the territories adjacent to the Bosphorus strait and four provinces near the Russian borders in east Anatolia. Greece was allocated control of Turkey’s western coasts. Italy was given control of Turkey’s southwest. 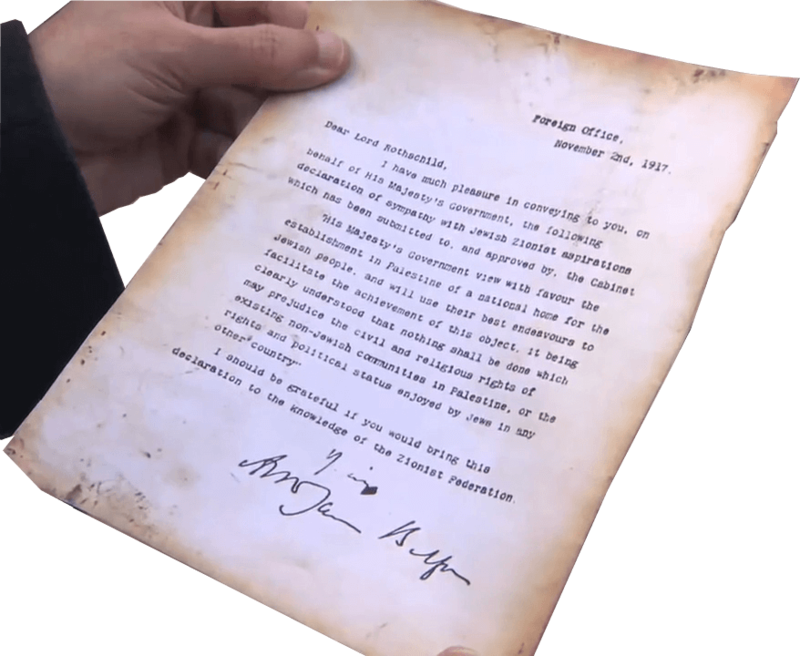 When Russian Tsar Nicholas II was overthrown in a popular revolution in 1917, the Bolshevik communists, led by Vladimir Lenin, found a copy of the Sykes-Picot agreement in the government’s archive records. 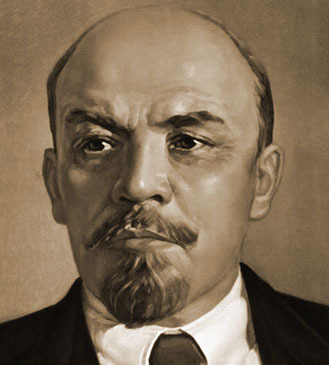 Lenin’s colleague Leon Trotsky published a copy of the agreement in Izvestia newspaper on November 24, 1917, in an attempt to expose the great powers’ plans to inherit the Ottoman Empire at the end of World War I.
Lenin called the treaty “the agreement of the colonial thieves”. The exposure of the agreement caused a political scandal for Britain and France. Britain, during its negotiations with Sharif of Mecca Hussein bin Ali, took up the responsibility of establishing “a national home for the Jewish people” in Palestine. This came in a letter written on November 2, 1917 by the then British foreign secretary, Arthur Balfour, to Baron Walter Rothschild, a close friend of Zionist movement leader Chaim Weizmann. The British commitment was endorsed in 1920 as Herbert Samuel, a British Jewish Zionist, arrived in Palestine as Britain’s first high commissioner to the country. In that year, the British mandate of Palestine was formalised by the League of Nations in a special article in its legislations. 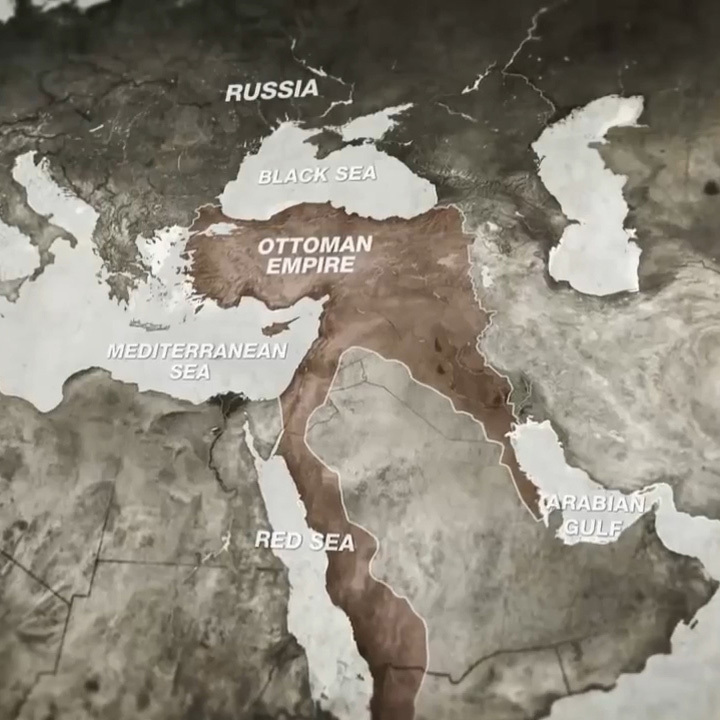 Following the collapse of the Ottoman Empire and Britain’s capture of Palestine and Iraq, Britain gave up the idea of partitioning the Ottoman Empire’s properties, as initially proposed in the Sykes-Picot agreement. Instead, it focused on the mandate system approved in the San Remo conference which was held in France on April 26, 1920 and aimed at defining the destiny of the occupied Arab Orient provinces. Prominent Lebanese historian Kamal Salibi believed that the main considerations taken at that time were related to oil and transportation tracks. 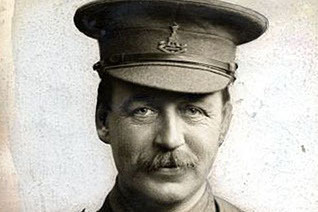 The British faced many difficulties during the war as they tried to occupy Iraq. The outbreak of the war had proved the strategic significance of oil. At that time, Britain was controlling oil resources in Iran. Its main concern was to prevent the Germans, key contributors to the Turkish Petroleum Company, from reaching oil fields that were known to exist in Iraq’s Kirkuk region. Between 1915 and 1916, Ahmed Djemal Pasha, the last Ottoman military leader, issued severe sentences against Arab nationalist intellectuals from the Levant and executed some of them. As a result, Arab nationalism supporters called for a complete independence from the Ottoman Empire. This coincided with the Sharif of Mecca’s declaration on June 1, 1916, to rise up against the empire. Hussein bin Ali announced that he intended to establish an Arab state that would extend from Aleppo, in Syria, to Aden in the south, as mentioned in his correspondences with the British Commissioner in Egypt Sir Henry McMahon. That, however, did not fit in with their allies’ colonial considerations set out at the San Remo conference. As the British were trying to force out the Ottoman army from the Levant, Arab forces, led by Sharif Faisal, the third and most popular son of Sharif Hussein, were protecting Britain’s right wing. 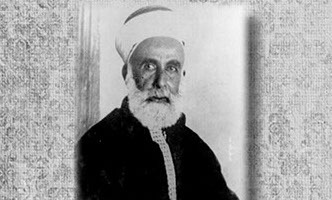 Sharif Faisal entered Damascus on October 1, 1918, and founded an Arab government under his father’s rule, in an attempt to impose this new reality on Britain and France. The French, who had already occupied Beirut, pretended that they wanted to reach a settlement with Sharif Faisal. They headed towards Damascus and defeated Sharif Faisal’s army at Maysalun near Damascus on June 24, 1920. In compensation, the British founded a new Arab kingdom for Sharif Faisal in the old Ottoman provinces in Iraq, which the British army had marched towards in 1915 and fully occupied in 1917. Those provinces were later united under what became known as the Kingdom of Iraq. In the meantime, France relinquished its claim on Mosul province in return for a bigger share in the Turkish Petroleum Company. The company was confiscated by the allies and re-established under the name of the “Iraq Petroleum Company”. In 1920, the French annexed some parts of the Ottoman provinces - that were previously annexed to Beirut and Damascus - to the old Mount Lebanon Mutassarrifat to create the State of Lebanon, with its borders as they currently are. The French later started to deal with the rest of the region that was under their mandate, and which they called the “Mashriq”. Besides Lebanon, they established four more states; two regional states – the Aleppo State and the Damascus State, and two sect-based states - the Alawite State and the Jabal al-Druz State. In response to national pressure, the French merged Aleppo and Damascus states in 1932 under the “State of Syria”, which later became known as the “Syrian Republic”. They later annexed to it the states of Jabal al-Druz and the Alawite. Following the end of WWI, confrontations erupted in the Arabian Peninsula, whose southern and eastern regions were put under British protection, between Britain’s two allies - the Emir of Najd Abdul Aziz al-Saud and King of Hejaz Sharif Hussein. The battles ended when al-Saud seized control of the regions that fell under the influence of Emir Ali, Sharif Hussein’s eldest son and heir in Hejaz, in Medina, Yanbu and Jeddah. The latter was defeated in 1925 and headed to India. The Kingdom of Saudi Arabia was established in 1932. Palestine, meanwhile, had been under the rule of British General Edmund Allenby since he entered Jerusalem in 1917. Its eastern border with the Emirate of Transjordan was the border that the “promised national home for the Jews”, as per the Balfour Declaration, was not allowed to cross. By the end of World War I, the Sykes-Picot agreement was replaced by the San Remo agreement and the mandate policies that were applied to the newly created Arab countries in Al Mashriq. Nothing was left of the Sykes-Picot agreement except the initial demarcation of Lebanon, Iraq, Transjordan and Palestine borders. In 1939, Turkey seized Syria’s Iskenderun province, in collaboration with the French mandate authorities. The British-French colonisation remained in the Al Mashriq countries, except in the regions of Yemen, Saudi Arabia and Transjordan, until the beginning of World War II in 1939. Egypt and Iraq signed treaties with Britain that practically prevented them from getting their independence, until the two monarchies were overthrown respectively in 1952 and 1958. During the war, France’s government pledged to grant independence to the countries under its mandate, amidst the loudening voices of the local political class that called for independence. Syria and Lebanon gained independence in 1943, two years before the end of WWII. On a spring day in 1948, Britain ended its mandate in Palestine. Hours later, The Jewish leadership, led by future Prime Minister, David Ben-Gurion, declared the establishment of a “Jewish State”, to be known as the State of Israel. The British had, before and during the war, called for the migration of Europe’s Jews to Palestine, paving the way for the establishment of that new state. The international role of the British and French began to dwindle in the aftermath of the 1956 Suez crisis. In the 1960s and 1970s, Britain began to pull out of the Arabian Peninsula. It withdrew from Kuwait in 1965, Aden protectorate in 1967, Muscat and Oman in 1970, and from Qatar, the Emirates and Bahrain in 1971. Since then, there has hardly been any change to the borders of the Arab countries, except for the 1990 unification of the northern and southern Yemeni parts. The 1993 Oslo Accord between the Palestinians and the Israelis only led to a limited Palestinian self-rule in the geographically unconnected territories of the West Bank and the Gaza Strip. The stalemate in the Arab World began to dissolve at the beginning of this century, following the 2003 US invasion of Iraq and the eruption of the 2011 Syrian revolution against President Bashar al-Assad’s regime, two events that set the stage for the emergence of ISIL in 2014. In June 2014, ISIL removed border posts between Iraq and Syria, as part of the group’s proclaimed plan to restore the Islamic Caliphate on the ruins of the Sykes-Picot border.